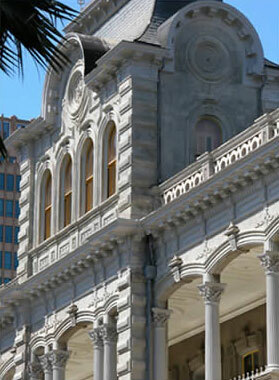 Iolani Palace is not a public archive or reference library, but the Palace’s curatorial staff may be able to provide historical information about the Palace and the Hawaiian monarchy. Artifact information on objects in the Palace collections may also be available. Inquiries should be submitted in writing to the Curatorial Department. Requests will be handled as time permits, and may be subject to research fees and costs for photocopying and mailing. If your request is expected to take more than 15 minutes of staff time to research, you will be notified before any research is initiated. Research fees will be billed at $15 for each quarter of an hour of staff time beyond the first fifteen minutes. Research fees collected help underwrite the high cost of caring for the Palace’s valuable collections. Palace objects sold and dispersed at public auction have been recovered from 36 states and 4 foreign countries - from porcelain plates returned from Australia and a table found in the Governor's mansion in Iowa, to a chair in a local thrift store. The quest to find original Palace furnishings and artifacts continues. Many original furnishings are still missing. The public has been very instrumental in helping to recover items that were once in the Palace. The Curator's office uses historic photos, newspaper accounts, and a variety of inventory lists to research the history of artifacts. Documentation provided by donors has included an original bill of sale from a Palace auction or a monarchy era letter describing a gift from royalty. Family legend is more difficult to verify, but tracing the history of each artifact with names of owners is always helpful. If you think you may have original furniture or articles from the Palace or have any information about their whereabouts, please contact the Director of Curation and Education.